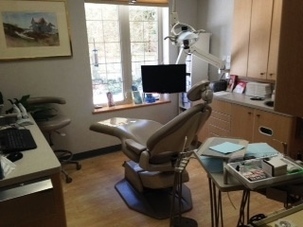 Dr. Wood moved the practice into our current office in Glen Allen in 2001, with Dr. Delk joining him here in 2006, and we are proud to provide a state-of-the-art facility for high quality dental care available. 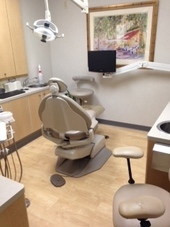 The interior of the office was updated in January of 2015, after Dr. Delk purchased the practice. 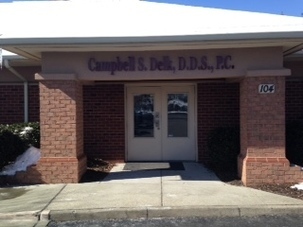 Our office is located on the corner of Gaskins and Springfield Road, one block north of Broad Street in the Glen Allen area of Richmond. 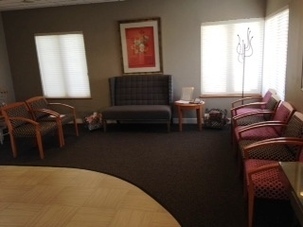 We are in the Springfield Professional Center office park, Suite 104. 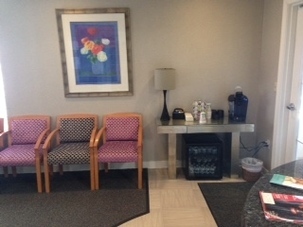 Our goal is to make sure that our office and staff make you feel at home the minute you walk through the front door. If you would like to make an appointment, please contact our office by phone, email, or click on the request appointment link on each page. We have set up a new patient section of our website specifically for those interested in becoming patients of our office. Emergency calls and appointments are available and welcome, especially for new patients seeking help. You can pay for your office visits and any treatments by cash, check, Visa, Mastercard, Discover, or American Express at the time of treatment. We will be happy to file insurance claims with any dental insurance provider. We do not exclusively contract with any insurance plan because of the limitation this places on services we provide. While most plans do not penalize patients for going outside the insurance network, you should check with your insurance provider regarding their specific procedures to be sure you fully understand their policies. Patients are responsible for any fees not covered by insurance. We are also pleased to offer Care Credit to our patients. This is a convenient, long term, low payment plans for dental treatments of $2,000 to $25,000. This plan has an interest-free option of repayment for your benefit as well. Hopefully this option helps make acquiring the smile you have always wanted more affordable!! To discuss your payment options or insurance coverage, please click on one of the links below, or feel free to call us at 804-747-9511. To download, print and fill out any of our patient forms, please select them from the drop-down menu under the "Our Practice" heading.